New research from City University London has revealed the proportion of women experts, reporters and presenters on the UK’s top broadcast news programmes. The figures were announced by Professor Lis Howell at the Women on Air conference, at City on Thursday 19th May. Since the academic’s previous results were announced in November 2015, improvements have been seen in the ratio of male to female experts on five of the six shows monitored. However, the overall ratio for experts remains at around three men to every one woman. Male reporters and presenters both outnumber women by two to one. *Professor Howell notes these results may reflect shift patterns, as her monitoring only covers one week each month. However, she says the ITV News at Ten figure reflects a policy change, with Tom Bradby presenting regularly. The latest results were collected in a six-month period, with appearances of women on flagship news programmes counted between October 2015 and March 2016. Previous findings on the number of women experts were announced in November 2015 and covered a 17-month period, between April 2014 and September 2015. They revealed that the ratio of women experts had improved from four to one, to just over three to one since the first period of research, between October 2013 and March 2014. 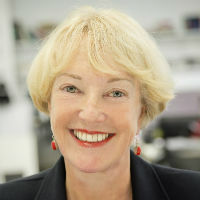 Professor Lis Howell, Director of Broadcasting in the Department of Journalism, said: “This is all moving in the right direction but BBC News at Ten and ITV News at Ten – the big beasts in the news jungle – still fail to represent women fairly.